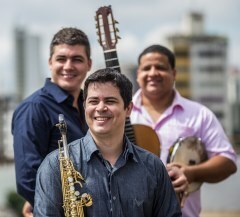 Brasil in Trio is Julio Lemos (7-string guitar), Everton Luiz (reeds), and Diego Amaral (percussion)—a powerhouse acoustic trio on tour from Brazil. The sounds of samba, choro and forro, packaged in intricate arrangements and dazzling virtuosity, this is a show not to be missed, and a rare chance to see the group outside of Brazil. 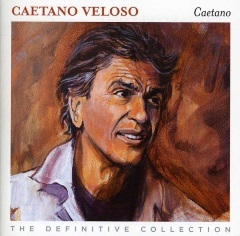 With special guests Brian Moran (Grupo Falso Baiano; guitar, cavaquinho, bandolim) and Rebecca Kleinmann (flute). Concert will be held in Arias Hall behind the Musician's Association building.